On the 23rd September 2012 we were asked to give a talk as part of the “Harvest Time Guided Walk” in association with Limerick Riverpaths these are the bullet points of the talk. The Canal while still fully in use. The idea for a canal connecting Limerick and Killaloe was first suggested in 1697, in 1715 draining of certain bogs and the building of canals in Ireland began in earnest. 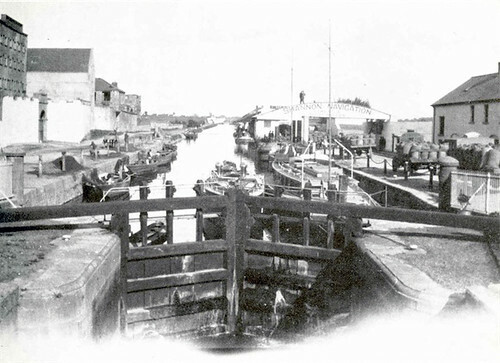 In June 1757 William Ockenden began work on the Limerick canal. 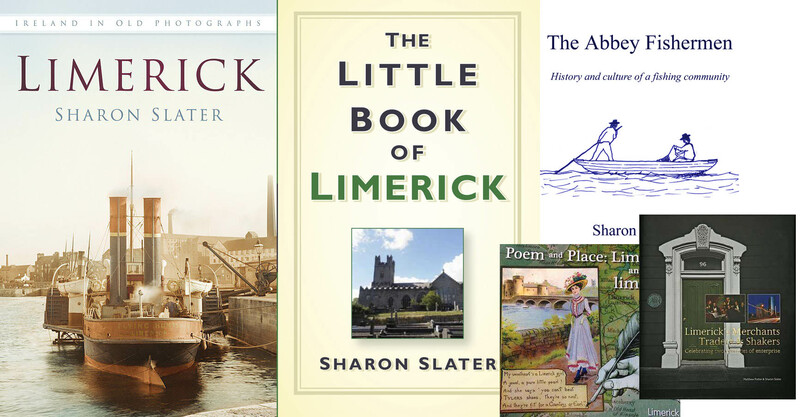 In 1767 the Limerick Navigation Company was established, with a budget of £6,000 to complete this project. It was not until 1799 that the first boats travelled this route. In 1831 the cost per passenger to O’Briensbridge was 2 pence. 100,000 people per year used this route. It was a 4 day trip to Dublin using this route. The passenger boats were known as “flyboats”. It would take four days to travel to Dublin by canal in 1840. Lock Quay Bridge – designed by Dutch architect Uzuld who also designed the Lock Mill. Bridge Bollards – Made by Harrison Lee & Sons ironmongers, who operated out of Mungret Street and High Street from the 1840s into the 20th century. Lock Keepers House – Built in 1770 it was the headquarters of the Canal Management Committee. In 1820s a garrison was posted here during the flour controversy, when flour prices were so high, the poor rebelled and led to an uprising. Northside Old Brewery – Built in 1814 by Walker & Co. Cork at a cost of £25,000. Closed due to pressure put on them by the Guinness warehouse. Northside Russell Mill – The arch which remains today with the inscription : ‘Lock Mills John Norris Russell 1844’ was erected about 1890. It was situated in front of the Lock Mills which were built by Andrew Walsh in 1765. It incorporated some of the most advanced milling equipment in the British Isles at the time. 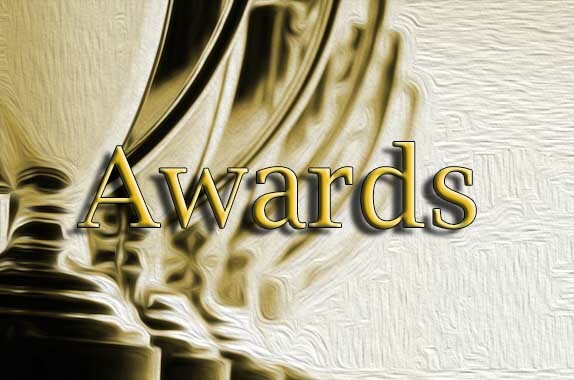 John Norris Russell was a corn merchant as a ship builder, Linen Manufacture, Iron Monger. The archway and mill can be seen in the image above. Southside Houses – Occupied butchers, fishmongers (McInerney who were one of the main buyers from the Abbey fisherman, had their store there) and publicans. Southside Crank – Shannon Navigation, used to lift goods onto and off of barges. Southside Warehouse – single-bay two-storey limestone former canal warehouse, built c. 1840, on the south bank of the canal east of Lock Quay, this was later used as a Guinness Warehouse. It was an impressive structure with a natural slate roof terracotta comb ridge tiles, limestone walls. Other warehouses in this area were run by Bernard, Conway, Lynch, McCawley, Murray, O’Connell. Troy’s Lock – Lock keepers were Troys, Maddens and Ryans. Prior to the construction of the canal this area was known as Bartletts Bog. Canal – To connect Limerick and Killaloe. Dredged by Sandmen, who supplied the sand for most of the building works in Limerick prior to 1920. Closed to traffic 1962. Tow path for horses to walk while dragging canal barges, further downstream there is a bridge with a lower wall on the river side, this was so the rope could pass more easily along. Barges were dragged about 20-30 yards behind the horses. Park Bridge – Lowered after 1960 to allow cars to pass more easily. There was once a boreen near here for courting couples called “Paddy’s Hedge”. Harrold Family – Richard Harrold owned a hotel in this site which was once known as “Nun’s Field”. The Harrold family paid for the erection of St. Patrick’s Church. City Boundary Plaque – An iron plaque on Park Bridge which was erected during the Mayorship of Patrick Riordan who only served one term in 1891. Guinness Bridge – Planned in 1996. Contentious name as Local Historian Kevin Hannon passed away that year and it was proposed that the bridge be named after him. The same issue arose with the naming of the Abbey Bridge, which had the originally name of the Kemmy bridge after historian and politician Jim Kemmy. The Museum would be later named after him. 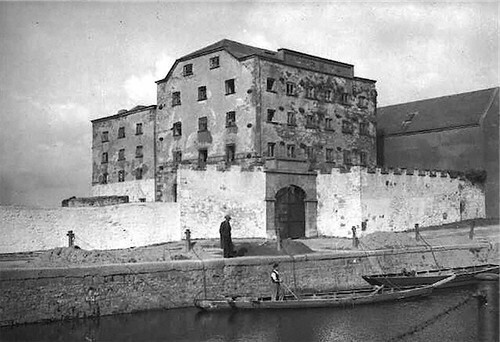 Why Guinness – In the 1880s, Guinness began sending their porter to Limerick by canal, undercutting the local breweries. The mile stone by the Guinness Bridge signifying the distant to Limerick and to Kilalloe by waterway was erected in1814. In 1860 the bell for St. John’s Cathedral was brought from Dublin by barge, as were sections of the organ for St. Mary’s Cathedral. The canal was closed as a commercial highway on the 1st January 1960.